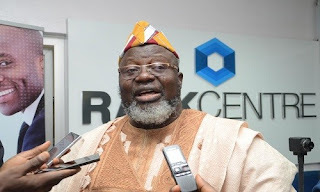 Minister of Communication, Adebayo Shittu, has instituted a lawsuit against the National Youth Service Commission, NYSC, saying he was never invited for service after he graduated from the Obafemi Awolowo University OAU in 1978. Shittu who was screened out of the APC governorship primaries in Oyo state last month for not having the mandatory NYSC certificate, filed the suit marked FHC/IB/CS/111/2018 before the Federal High Court in Ibadan, the Oyo State capital, through his lawyer, Mr Olalekan Ojo (SAN). Joined as defendants in the suit are Director General, NYSC; the Oyo State Coordinator, NYSC; the NYSC and the Attorney General of the Federation. Relying on Section 2(1) of the National Youth Service Corps Act, 1973, Shittu, who read Law at the University of Ife, now Obafemi Awolowo University, and graduated in 1978, contended that his failure to serve should be blamed on the NYSC. Adebayo in the court papers, asked the court to declare that NYSC had waived his obligation to observe the one-year compulsory service by allegedly failing to serve him with a call-up letter in 1979 after he finished from the Nigerian Law School. He urged the court to order NYSC to issue to him a Certificate of National Service since he “having served the nation as member of the Oyo State House of Assembly immediately after graduating from the Nigerian Law School or alternatively, asked the court to order the NYSC to issue to him an Exemption Certificate since he had served as a lawmaker in Oyo State.